In today’s busy world, cultural consumers seldom have time to read through tedious articles on any given topic. But add a few pictures, and the story unfolds in a much quicker fashion, which mirrors the reader’s fast pace life style. Cowboy and Indians Magazine is no exception. The color graphics and images are absolutely out-standing; you never have to read a word to understand the message. 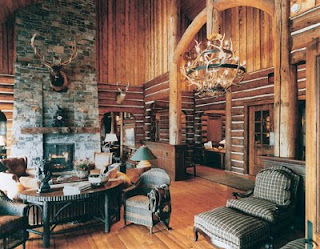 The first visuals when opening the magazine are full-page color ads of spectacular log homes situated snuggly in breath taking mountain valleys in Idaho, Montana, or Wyoming. These “back to nature” homes are at least 10,000 sq. feet of rustic elegance. The interiors display exceptional craftsmanship. Leather and fabric adorn couches and chairs; Native American designs are found in the rugs and accents. And Native American pottery, Apache and Pima Baskets, and elk horn chandeliers accent the rooms. From the Remington and Russell look a-like sculptures on tables and sideboards, to panoramic views out large picture windows at snow-capped mountains, the American West could not look more inviting. The image created by the editors of Cowboys and Indians Magazine is intentional and meant to appeal to those who have the wherewithal to buy into the image. There is irony in this, which perhaps only western historians can appreciate. Historians of western history who grace our halls of higher education have spent an inordinate amount of time debunking an image of the American West, which is portrayed in Cowboys and Indians Magazine and numerous other sources of western literature. The title alone must be offensive to some who viewed the struggle between cowboys and Indians in the American West in a much different light than most western films and literature of the late twentieth century. Historians insist that the history of the West is one of conflict and contest, where white Anglo Saxon dominance prevailed at the cost of Native people, Hispanics, and Black Americans. The thought is also that men with capitalist inclinations marched across the American West reaping profits while destroying the environment and exploiting the labor, who extracted the precious minerals. All of this may be true, but naysayers are having little effect on Americans and their view of Western America. The old images and stereotypes of a more homogeneous West prevail; those with the money will own the West and all they think it represents. Cowboys and Indians Magazine reinforces the old stereotypes and continues to sell the American West to a very few well-heeled individuals; it is certainly a glimpse at what the future holds for living in the American West in the twentieth-first century. A really good example of the “new” western living can be seen at a new gated community just outside Hamilton, Montana at the foot of the Bitterroot Mountains. 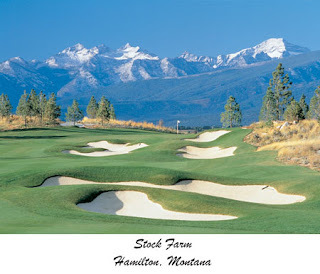 The community is called the Stock Farm, a name given to the land in 1886 by Marcus Daly, the Copper King of Montana, when he bought the Anthony Chaffin homestead. The purchase consisted of 2600 acres of prime real estate. Eventually Daly built a mansion to rival Tara in Gone With The Wind, and a unique set of barns where he housed his beautiful thoroughbred horses. His ranch was known as the Stock Farm—the developers who bought much of the Daly farm carry on the name. The mansion is separate, now belonging to the Daly Mansion Trust, and Tara has been going through renovations for many years. which sports a clubhouse of grand proportions. Membership is $125,000 a year, building sites are 1.2 million and the cheapest residence, one that is already to move into, is only $800,000. There are stables and horses for members of the community to enjoy, and such amenities as an Elk Viewing Gazebo. There are quite a few communities similar to the Stock Farm; Cowboys and Indians Magazine has many advertisers who promote these grand communities. As developers buy more and more traditional ranches and gate them in, more and more of the West will be for the exclusive use of those who can afford the entrance. The old West, the one that ranchers and settlers wrestled from the Native people, is now being wrestled from ranchers and settlers. I guess there is enough irony to go around.